I'm an English teacher and technology geek, a mentor...and I make stuff. In the summer when I don't have all that marking hanging over me, I like to run, work out, cycle, travel and take pictures. I am way more active on my Instagram account @cakebrain so check me out there if you want to chat about photography, health and food! In June 2011 I was diagnosed with Hashimoto's Thyroiditis and began researching ways to avoid foods that trigger thyroid issues: cruciferous veggies, soy products and gluten are some of the foods that have been purported to have a negative effect on thyroid health. I only have half a thyroid left so I'd like to try to keep it as healthy as possible. I quickly figured out through experimentation new ways to bake delicious cakes without wheat flour and gluten. I'm gluten intolerant and dabble in the Paleo lifestyle in the summer. Check out what I'm eating on TheBesty (restaurant recommendations) and Instagram (pictures of restaurant meals). Follow me on Pinterest and Twitter! I AM IN NO WAY AFFILIATED WITH COPYCAT SITES WITH THE SAME NAME AS MINE THAT MAKE AND SELL CAKES. I hope the karma police catch them. I do not sell cakes online and I do not appreciate people profiting from my good name. 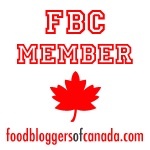 I have only one foodblog site and that's this one. I have seen several of my pictures that have been stolen on other websites attributed to other recipes and bloggers. I will report any copyright infringement to the authorities. Images on this blog are mine unless otherwise stated. If I use an image from another site, there will be an attribution (usually a direct link to the original site). Please respect my content (text and images) by a direct link to my site.